One of the best things about travelling is that you get to stay at a chic hotel in a dreamy bed. 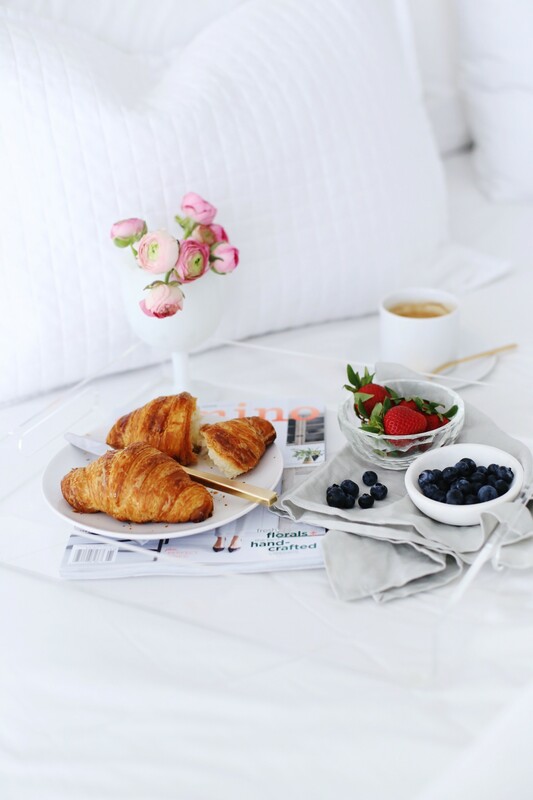 So how do you replicate the perfect bed, including the room service, in your own home? Erin Sousa is here to share some expert tips on making the perfect bed with the help of products from Rothman & Co.
Here’s to a seriously good night sleep, with these five expert tips for a hotel bed experience at home. 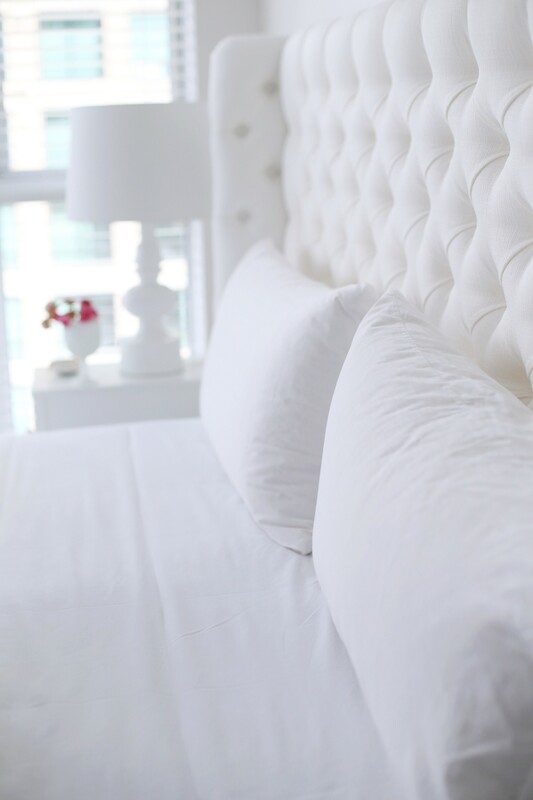 The dreamiest beds are reminiscent of hotel beds, and that’s why our bed is as white as can be. It’s not tricky to keep clean, simply pop them in the wash once a week with detergent and a little bleach to keep them fresh and crisp. Our bedroom is our sanctuary, and I love the calm feel a fully white bed gives our bedroom and home. Ideally, six pillows for a bed is the way to go. Not only does it look comfy, but each pillow serves a different purpose. I love the comfort and softness of down pillows. We start off with two king pillows laid against our headboard, layering our two queen sized sleeping pillows on top of that, and finally, a little piece of décor, another set of queen pillows covered with quilted shams. Depending on the time of year, laying a blanket at the foot of the bed can come in handy if you need some extra warmth in the middle of the night. Goose down is the ultimate fill for pillows, featherbeds and duvets. The down adapts, keeping you cooler in the summer, and warmer in the winter, and splurging a little on the good stuff is an investment since they will last you for years. Especially for down pillows, using a pillow protector is essential to protect that investment. Thread count is important, but not always the most important factor of your sheets. When looking for the perfect sheets, look for 200 thread count and up (these are termed ‘percale’), but also consider where the cotton is grown, and where they are woven. Rothman & Co.’s fabrics are European woven, but constructed in Canada, making them of superior quality and comfort. 100% Egyptian Cotton Percale are the best quality linens, and they will always get softer wash after wash. Using a fitted sheet on top of your featherbed and mattress protector, and a top flat sheet under your duvet, are the basics of a great bed.